At the time of publication, the album holds strong at number 1 on US iTunes. Meanwhile, all 7 songs from the tracklist have rocketed into the Top 10 on the Top Songs chart. Not only that, but “Boy With Luv” claimed the top spot. With a historic Saturday Night Live performance scheduled for tomorrow, nothing is likely to change in the near future. Beyond those incredible sales figures, the project is also one of the group’s strongest and most expansive to date. Boasting a vibrant production and some loved-up lyrics, “Boy With Luv” emerges as a clear highlight. The anthem screams summer with its bright sound, and Halsey’s voice is a welcome addition to the mix. Of course, it also comes to life in the accompanying music video. In it, the “IDOL” hitmakers serve chic looks and execute some intricately choreographed routines. The dancing kings have yet to let us down, and this is no exception. Beautifully staged and fun from start to finish, they have another win on their hands. Another standout is the Ed Sheeran-assisted “Make It Right.” The catchy anthem is bright and optimistic. “I could make it better. I could hold you tighter,” they vow. This could easily dominate the charts if it gets the single treatment in the coming months. “HOME” is another personal favorite with a vibey production and unforgettable chorus. One listen, will have it stuck in your head for days to come. The same could be said for closer “Dionysus.” The hip-hop track is a banger with plenty of replay factor. BTS opened up about the album and what inspired it in a press release. “We find strength and happiness in every moment. You’ve given us so much love, and now we want to get to know our fans more,” they explained. “We filled our album with our genuine feelings and the messages that we want to share with you.” All things considered, that seems to come across very well. 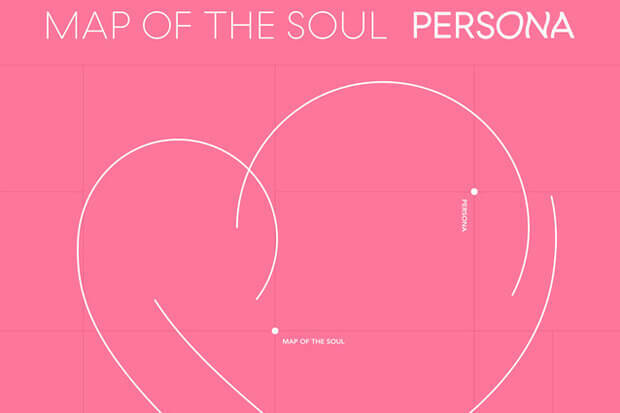 Check out the “Boy With Luv” video up top and press play on MAP OF THE SOUL: PERSONA below. What’s your favorite song on the album? Let us know below, or by hitting us up on Facebook and Twitter!